St Sylvester’s was not the first Catholic church in Malahide, indeed it was not even the first church to be dedicated to St Sylvester. When it was erected during the dark years of the Great Famine it was but the latest in a series of churches raised by the people of Malahide over many centuries to the glory of God. Like its predecessor, it took its name from the ancient well in Old Street which honours Sylvester, a holy man associated with the fifth-century Christian mission to convert Ireland from paganism. Today Catholics continue to gather in St Sylvester’s to profess their faith and, in doing so, sustain a tradition of worship in this locality that extends back to the very dawn of Christianity in Ireland. Very little is known about the first Christians who lived here. The earliest Malahide church for which documentary evidence survives is that of St Fenwe (possibly St Finian), patronage of which was conferred on Richard Talbot, first Norman lord of Malahide, around 1180. Later the Talbots erected Malahide Castle adjacent to St Fenwe’s. In the early decades of the fifteenth century St Fenwe’s was replaced by the Abbey which ranked among the largest and most elaborate of Fingal’s medieval parish churches. 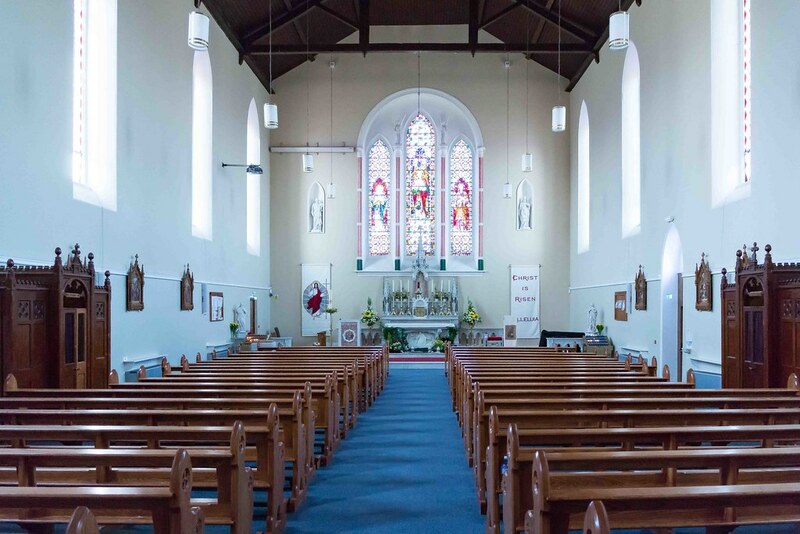 Then, as now, the laity were responsible for its upkeep and there are many contemporary records of bequests ‘to the works of the nave of Malahide Church’. Sadly, within little more than a century, the Abbey was reduced to a ruin. After the Reformation was introduced in Ireland in 1537 all parish churches were converted to Protestant use and public celebration of the mass was forbidden. As there were no Protestants living in Malahide the Abbey ceased to be a place of worship and quickly fell into disrepair. To the Catholic community the loss of their parish church was a grievous blow but its impact was lessened by the intervention of the Talbots who defied the law by turning their home into a masshouse. At the time Catholics were confident that the ban on Catholic worship would soon be lifted but their confidence was greatly misplaced and Malahide Castle continued to serve as a clandestine masshouse until as late as 1731. By then it was already clear that the government was powerless to prevent the celebration of mass and Catholics openly began to construct chapels in towns and villages across Ireland. The faithful of Malahide were not slow to follow and by 1760 a simple thatched chapel stood just south of St Sylvester’s Well on a site donated by Richard Talbot. 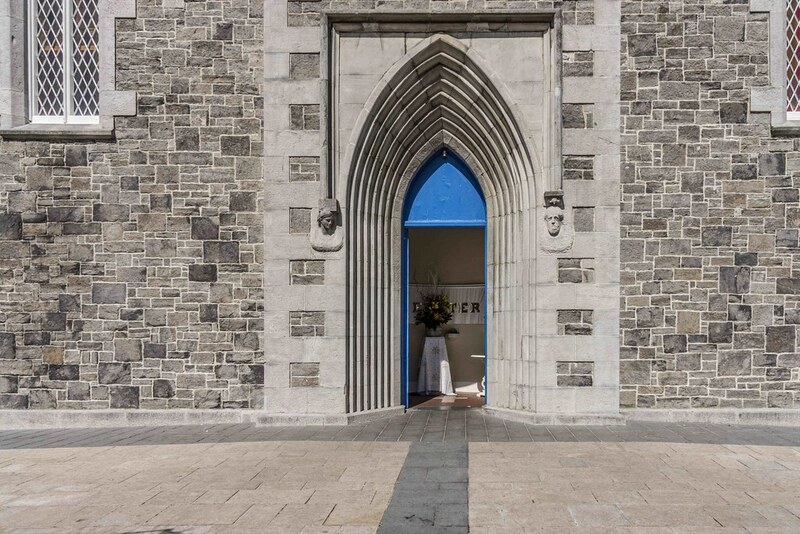 This new chapel was consecrated to St Sylvester – the first documented use of that name in relation to a Malahide church. Over time it was extended in piecemeal fashion and by 1841 its short, broad nave had acquired no less than four extensions, one of which served as a sacristy and schoolroom and a second as a porch that opened onto Old Street. No trace of that first St Sylvester’s has survived but its footprint lies beneath the present spire, the front carriageway and the eastern side-passage. The foundation stone for the present St Sylvester’s was laid by Archbishop Murray in May 1845. A less promising moment could hardly have been chosen to undertake such a project for this was the first year of the Great Famine. As a consequence, work proceeded fitfully and the church was dedicated in July 1846 in an unfinished state. Not least among many defects was a gloomy interior that was lit on the northern gable by a lone window. In July 1858 an extensive programme of renovation was undertaken and the gloom was dissipated by the insertion in the northern gable of the triple lanceolated window (in plain glass) which currently lights the sanctuary. The interior of St Sylvester’s had now largely assumed its present form. For many years, however, its exterior exhibited a defect that was much commented upon – it lacked a steeple. Thus, in 1899 a major fund-raising drive was inaugurated and within two years an impressive neo-gothic tower and spire had been added on the southern gable to a design by George Ashlin. The magnificent high altar was consecrated in July 1903, the gift of an anonymous donor. Sculpted in Carrara and Sicilian marble with shafts and inlays of various coloured Irish marbles, this was the work of William J. Pearse who would be executed in the aftermath of the 1916 Easter Rising along with his brother Pádraig. The central panel in the altar frontal which portrays Christ’s agony in the garden is from the chisel of their father, James Pearse. In latter years, and in the spirit of Vatican II, the internal arrangement of the church was simplified to emphasise the communal nature of the liturgy. Sections of altar rail were removed and the sanctuary was opened up to the congregation. The two side altars were removed and with them the elaborately-painted reredos on the northern gable. In 2012 yet another chapter was written in the history of St Sylvester’s when the exterior of the church was repaired and renewed and a parish centre was added on the west side, developments that should ensure that the church continues to be, as it has been for many years, a central focus in the lives of the people of Malahide.